How Much Bandwidth Can a Cable TV System Deliver? 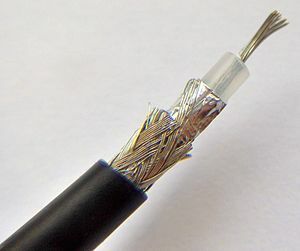 There are a number of techniques that are available for a traditional cable TV network to upgrade the bandwidth on the network available for customer data. If you are operating or competing against a cable TV system you should recognize that there are a number of upgrades that can when combined can drastically improve data speeds. Each of these upgrades comes at a cost, but you can’t discount the technical capabilities of an HFC network if data delivery becomes the primary goal of the network. Increase System Bandwidth. An example of this kind of upgrade is when a system is upgraded from 750 MHz to 1,000 MHz (or 1 GHz). This upgrade provides more bandwidth by widening the frequencies that are available on the coax. A system bandwidth can be a major upgrade and can involve replacing all of the power taps in the system, and in some systems even requires replacing the coaxial cable. Reducing Node Size. A node in an HFC system is a neighborhood of homes and/or businesses that share the same bandwidth. Typically there is fiber built to a node and then coax cable from the node to each customer. Historically, before cable modems, nodes were large, often at 1,000 homes or more. But many cable companies have deployed more fiber and reduced node sizes and some cable companies now have nodes in the 200 customer range. Making smaller nodes creates smaller pools of shared bandwidth, meaning there is more bandwidth available to customers at peak times. MPEG4 Compression. A lot of cable systems still use a compression technique known as MPEG2. This technology is used to compress the digital channels on a network today so that up to ten digital channels will fit into one 6 MHz analog slot. But with MPEG4 as many as 20 digital channels can fit into the same 6 MHz slot. The biggest issue with this conversion is that older set-top boxes won’t recognize MPEG4. Deploy DOCSIS 3.0. DOCSIS 3.0 is a bandwidth management technology that allows a cable modem to use a larger window of RF frequency for data. The way this works is that a cable system can ‘bond’ multiple channel slots together to that the cable modems can use more than one 6 MHz channel slow for data. Migrate Analog Channels to Digital. A cable provider can gain some bandwidth space by migrating analog channels to an existing digital line-up. There are often contractual requirements with programmers that make this difficult to achieve. However, as mentioned above, as many as 20 digital channels can fit in the same sized slot as an analog channel. There are always customer issues to also consider since this kind of conversion will shrink the analog offering and expand the digital tiers. Full Digital Conversion. In a full digital conversion all channels are converted to digital. Once completed, every customer needs a set-top box or other device in order to decode and view channels. There is now a device called a Digital Television Adapter (DTA) that is less costly than a set-top box that can support a customer remote. It is possible to send the ‘basic’ channels through the network un-encoded so that customers with a digital QAM tuner in their TV will be able to see these channels without a DTA. Deploy Data QOS. This technique does not increase system bandwidth, but rather allows the cable provider to sell faster data to some customers by allowing those customers to use a frequency allocation that is only used by these faster data customers. For example, Comcast advertises 100 Mbps service in most large cities, and they would deliver that kind of speed by giving the 100 Mbps customer priority over other customers in the node by having those customers send their data over a lesser-used frequency on the COAX. Of course, as the priority customer gets more bandwidth, everybody else in the node gets degraded service, and if too many premium services are sold then even the priority customer can’t get the promised bandwidth. But this technique does allow the cable company to selectively compete against fiber for selected customers willing to pay for the extra speed. Convert to IPTV. This conversion would allow a cable system to use more of the RF frequency on the network for bandwidth. On an IPTV system the programming, voice and cable modem service are all sent over shared bandwidth. An IPTV conversion does not automatically gain a lot of extra bandwidth and any savings come from the fact that the company does not have to broadcast all channels to all nodes all of the time, but rather can just those channels that somebody in the node is watching. There is a benefit, but it is not as large as the extra bandwidth gained by other strategies. Higher Spectral Efficiency. This technique involves converting to DOCSIS 3.1 and also changing the system modulation techniques. The traditional modulation technique is called QAM (Quadature Amplitude Modulation) and uses a 6 MHz frequency allocation. The new technique is ODFM (Orthogonal Frequency Division Multiplexing) which uses a higher QAM modulation. Where Current DOCSIS capabilities achieve approximately 6.3 bits per Hertz, DOCSIS 3.1 can achieve 10 bits per Hertz. New modulation techniques can create much larger bandwidth slots and can at the same time increase the bits to Hz efficiency of the frequency being used. In effect, this technology turns the cable system into a DSL system, with the difference being that there is more frequency available on a coaxial cable than is available on a telephone copper cable, but that a CATV node is then shared by multiple subscribers. As can be seen, a cable company has a lot of options to increase bandwidth. So, how much bandwidth can be delivered? There are a lot of cable networks that have been upgraded through step 7 above. These systems can support some selected customers up to 100 Mbps download. But these systems probably only support 30 Mbps for all subscribers if the nodes are small enough. A system that is upgraded through step 8 can probably deliver 50 – 60 Mbps to most customers with selected customers being able to get much faster speeds. But a full upgrade to through step nine would allow a cable system to match the overall bandwidth delivered by a fiber PON system, although it is then shared with a lot more customers. These upgrades are expensive. But if you are competing against a cable company, don’t assume that they are incapable of delivering very decent internet speeds if they are willing to make enough investment in their network. If you have questions or want to discuss this further call Derrel Duplechin at CCG at (337) 654-7490. I have always wanted increased bandwidth on my TV for better speeds, so I think more cable providers should try adapting these techniques. I like that you mention how MPEG2 compression can help more channels fit into one analog slot. I wonder if newer set-top boxes will start to recognize MPEG4 and take advantage of this soon. Thanks for sharing. Cable providers always convert off channels to the same format. Thus, the conversion is done at the headend and settop boxes just get fed one format. Most IPTV systems convert everything to MPEG4, so you might already have that.